With the help of a local Boy Scout, Trevecca is on its way to becoming a national arboretum site. Which means the trees and plant life on campus will be recognized as a living museum of nature. On March 31, a Boy Scout, a former Trevecca president and a former professor joined Trevecca science professor Chris Farrell to tour the campus and begin mapping the trees. They spent the day riding in the Boone Buggy discussing the history of the canopy of trees. Their guide? A map of Trevecca’s trees published in 1970 by Jerry Costa for his thesis at Peabody College in Nashville. Lucas Wallace, 17, is a local Boy Scout working on his Eagle Scout rank. Homer Adams, 82, was president of Trevecca from 1979-1991. John Dix 85, served as professor emeritus of biology from 1960 to 1993. Since his presidency at the university Adams has wanted to have at least one of every tree indigenous to Tennessee on Trevecca’s campus. The map and his knowledge of tree types revealed that Trevecca is missing about 14 trees to complete this goal. Wallace has made it his service project for his Eagle Scout credit to update the map of existing trees and locate the missing 14 so Trevecca can add them to the collection. Wallace had trouble finding a project to complete his Eagle Scout rank. Caldwell gave him the idea to find the missing trees when Farrell discovered the map from 1970 in the Vanderbilt University library. The scout was running out of time to complete a project by his eighteenth birthday on May 1, the cut off for being in Boy Scouts. When this project was presented to him he took the job. “The project has become a lot more in depth. It’s amazing how much you can learn and know about trees and what they do,” Wallace said. Spending the day with Dix and Adams helped him learn about the trees at Trevecca. One of the more interesting trees he found is called “Heart Aburstin’ with Love.” It’s fruit looks like a broken heart. Although he is planning on going to college for civil engineering, he has really enjoyed learning about the different types of trees and helping Adams meet his long term goal of having one of every indigenous tree growing on campus. “The day was pretty awesome because I realized they have probably forgotten more about trees than I know,” Wallace said. Wallace is confident he will meet his goal and become and Eagle Scout. 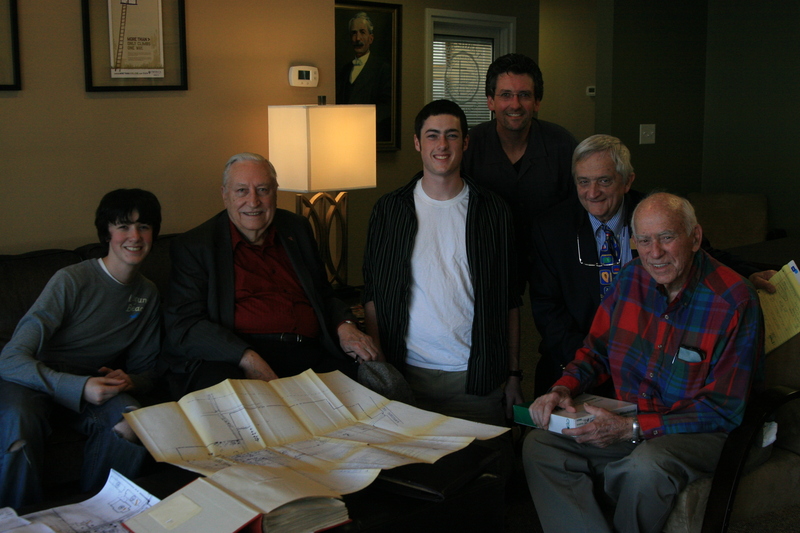 Trevecca will continue to work toward being an arboretum with the help of Bennett Caldwell, 15. He starts his Eagle Scout project in late May and will be working with Trevecca to acquire the missing 14 trees, label all of the trees on campus, create a walking map of campus and become a registered arboretum site. After both projects are complete the new map is thought to list 70 to 75 trees on Trevecca’s campus.